At Long Last, A Time To Feel Proud? The gruelling nature of the football league means that it is far from uncommon for a week featuring three games. Yet, a week featuring three defeats more often than not equals disappointment, negativity and raised eyebrows. 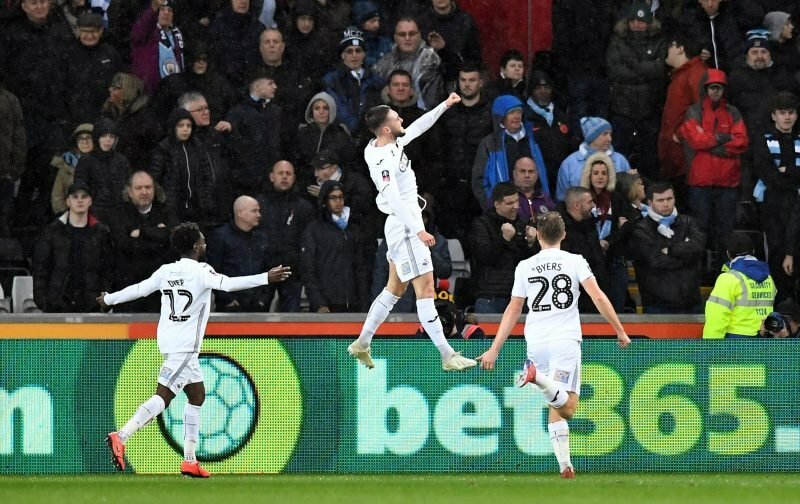 Yet the last few days have highlighted that after one of the most testing seasons in recent memory, Swansea City may just be giving reasons for fans to feel pride again. The common denominator in each of the three games is that the team looked bright and encouraging. At Norwich, their undoing was a lack of ruthlessness in the final third, at the Hawthorns, a mix of the aforementioned, some naive defending and that penalty. Against Manchester City, a whole different story. It is rare that any game featuring Pep Guardiola’s side has a lower side feeling hard done by as a leading discussion point. But the talk of controversy leading to a Cityzens victory after a first half where they had been outplayed in key parts of the game is nothing short of once in a blue moon. Yet, the penalty cooly dispatched by Matt Grimes came from a free-flowing move before Connor Roberts was fouled. As for the Celina second, like Dan James’ goal against Brentford in the last round, any Twitter account occupied by Swansea fans will likely have seen around 400 replays of it by the end of the weekend. At the time of writing, the club has confirmed Trevor Birch as its new chairman. Anyone who has done their homework on the 61 year old will know he has done his time at a plethora of basket cases. The owners described him as ‘one of the finest football executives currently in the game.’ Who can say how long the ‘long term project’ Birch has passionately described will last, but make no mistake, anyone with his experience in the game, along with his dealings with all sorts of investors, he will take no nonsense. With a resume that spans across a range of big clubs with a history of big financial problems, this is perhaps a different challenge for the right sort of character. Be it balancing the books, putting out the fires of previous seasons or recruiting investment to finally give the manager the backing he needs. In any case, his opening comments about a back to basics approach and re-establishing the reputation and identity of the club could not have been better timed. We can safely opt out of the usual cliche about football being a funny old game, but most would agree that off the field news can have just as much of an impact on the mood around a club as the performances on the field. So a new chairman looking to right so many of the club’s wrongs and bring back a balance and harmony just days after a narrow and more than slightly controversial defeat to one of the best and most costly teams on the planet will be music to Graham Potter’s ears.